Georg Wilhelm Friedrich Hegel was born on August 27, 1770, at Stuttgart, the capital of Würtemburg, in which state his father occupied a humble position in government service. He was educated at Tübingen for the ministry, and while there was, in private, a diligent student of Kant and Rousseau. In 1805 he was Professor Extraordinarius at the University of Jena, and in 1807 he gave the world the first of his great works, the "Phenomenology." It was not until 1816 that Hegel's growing fame as a writer secured for him a professorship at Heidelberg, but, after two years, he exchanged it for one at Berlin, where he remained until his death on November 14, 1831. On October 22, 1818, he began his famous lectures. "Our business and vocation," he remarked to his listeners, "is to cherish the philosophical development of the substantial foundation which has renewed its youth and increased its strength." 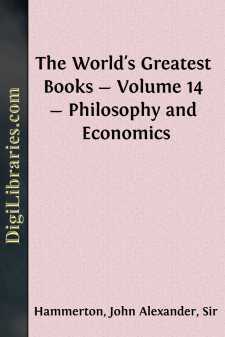 Although the lectures on the "Philosophy of History" and on the "Philosophy of Religion" (Vol. XIII) were delivered during this period, they were not published until a year after his death, when his collected works were issued. Universal or world-history travels from east to west, for Europe is absolutely the end of history, Asia the beginning. The history of the world has an east in an absolute sense, for, although the earth forms a sphere, history describes no orbit round it, but has, on the contrary, a determinate orient—viz., Asia. Here rises the outward visible sun, and in the west it sinks down; here also rises the sun of self-consciousness. The history of the world is a discipline of the uncontrolled natural will, bringing it into obedience to a universal principle and conferring a subjective freedom. The East knew, and to this day knows, freedom only for one; the Greek and Roman world knew that some are free; the German world knows that all are free. The first political form, therefore, that we see in history is despotism; the second democracy and aristocracy; and the third monarchy.